Are you seriously aiming to become a practicing clinical psychologist? Then it’s best you know that preparing to get into clinical psychology graduate programs will take time. In fact, as early as when you’re working towards a bachelor degree. It really is not all talk when they say that getting admitted into these programs can be like going through the proverbial eye of the needle. Although a clinical psychology graduate can end up doing research or teaching at a university, majority really opt for human direct services. That means treating patients with mental health-related problems face-to-face. A masters in psychology degree will be sufficient to give you the skills and knowledge to practice, as a counselor at least. But if your goal is to become a practicing clinician then you ought to be thinking of completing clinical psychology PhD programs. That means five to six years of study, completing a thesis and getting a license. Seems kind of long to get ready, but don’t worry the clinical psychology salary with a doctorate degree can be very rewarding. It’s no secret that getting into clinical psychology graduate programs is very tough. Which is harder, masters or PhD? It’s no different, because often admission into schools means you’re out to complete a doctorate degree. So you may want to do a lot of research and find a school with a terminal masters in psychology program if your goal is to get into the workplace shortly. 1. Applying for admission to the top-ranked schools or programs is extremely competitive. The slots are limited and the criteria used in approving applications is more often subjective than not. 2. Send out your applications to top-ranked schools by all means. But do not limit your choices to these programs. Be realistic that it may not turn out the way you plan so always have a fall back. 3. You would be better off to have your own set of criteria and devise your own rankings. This way you can choose between schools in California or programs in Texas that are better suited for you and your goals. Admission criteria for clinical psychology graduate programs is divided into two: objective and subjective. Requirements that fall under the objective category include an applicants GPA, which is usually between 3 to 3.5, at least; GRE (General Record Exam) results in the General and psychology tests; and previous coursework you may have taken up. There are some programs that do not require the GRE, but the two others are standard for admission. Under the subjective criteria, you will be judged based on the letters of recommendation, application essay, interview performance, work experience, research experience, clinically-related public service and extra-curricular activites. Often, weight is given on the latter category even when you more than meet the criteria for the former. So it pays to really do your homework if you seriously want to get into any of the clinical psychology graduate programs. The GPA, GRE and whatever coursework you may have taken prior to application is pretty much a good indicator of your performance as a student. If your coursework is related to psychology then you should be better prepared should you be accepted for either a masters in clinical psychology or a clinical psychology PhD degree. But curiously there are many applicants who show GPAs even higher than 3.5, whose standardized GRE scores in four areas are way above average and who have completed an undergraduate degree in psychology but still don’t make the cut. Of the three criteria, it is the GRE test scores that carry weight. The standard test, which is not about knowledge, examines the level of verbal analytical and quantitive skills. 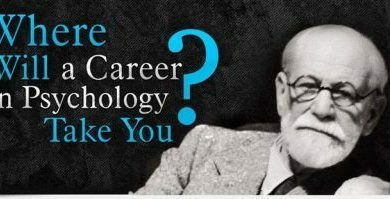 If you’re pursuing a psychology degree, then you need a fourth test on psychology. The average minimum passing score is 600. So it will give you a bit of an advantage to score higher than the minimum to push your chances for admission. For the subjective category, focus is given on at least four of the criteria and could swing your acceptance, sometimes even when the objective requirements are not really exemplary. 1. Letters of Recommendation. You need at least three of these to help build your case on why they should approve your application. They need to be strong endorsements, and the best way to do that is to find three references who are familiar with you, are aware of your abilities, and have worked with you. This will tie in with another criteria: Research Experience. You can boost this aspect by volunteering to help a professor in research projects. Do a good job of it, demonstrate your passion about the discipline and you can hope you will get a glowing recommendation. 2. Work experience. Whether you did this in a professional capacity, using your previous education or just to earn a living, admission officers want a sense of how serious you are about work. Clinical psychology graduate programs can be very intense and if you’ve shown a strong focus in your work life, this could help tip the scale in your application. 3. Admission Essay. Surprisingly, many people don’t really spend as much time and effort into this, thinking it’s not important. But that perception is slowly changing. This requirement is a good way to gauge character and intent. On your part as an applicant, this will allow you to really think of your goals, what you expect to gain by taking up the program, and what you can contribute to the school and the profession later. Pay attention to this requirement. 4. Interview Performance. Admission officers will personally talk to you. Beyond reading your thoughts, they want to see how you are in person. In this, you need to make an impact – intellectually, emotionally and even physically – to show them your sincerity and deep desire to get into their program. If you prepare well for all these, you raise your chances of admission. It will also help a lot for you to narrow down your choices where you will be most comfortable in and where your goals can be met realistically. It really goes beyond clinical psychology graduate programs.